First Indian feature film to be selected to ArchDaily's prestigious "Architectural Documentaries to Watch list"
Movie Featurette Just released! 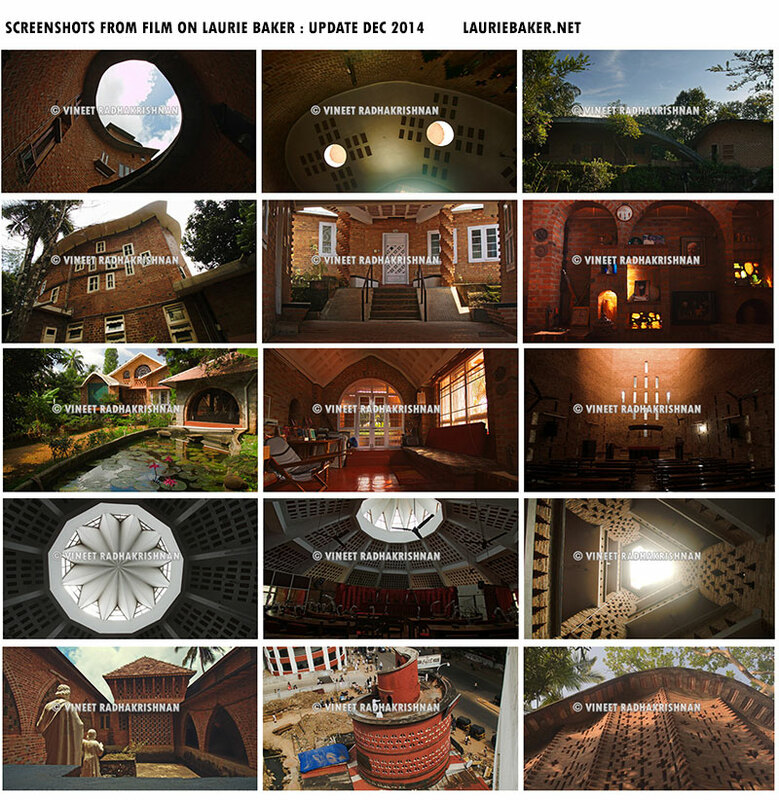 The 6 minute movie featurette preview for the film "Uncommon Sense: The Life and Architecture of Laurie Baker"! Please enjoy in 720p or 1080p HD and be sure your speakers/headphones are on for the best effect. Want to be notified automatically when the film is released? 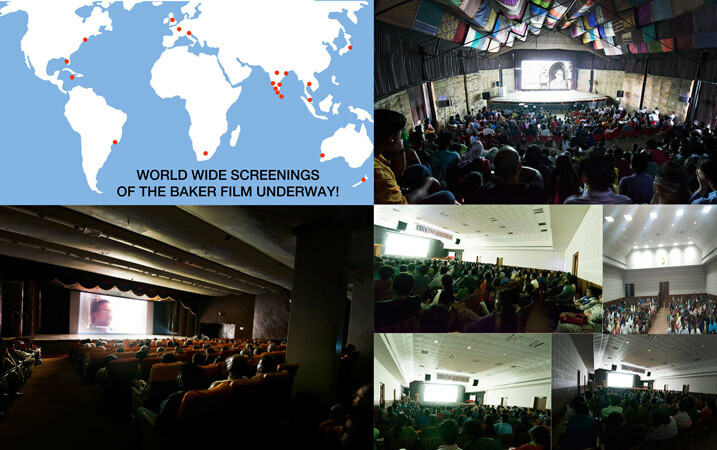 : Send an email to the following email id: vineetradhakrishnan(at)gmail(d0t)com with subject "Baker Mailing List" and your first and last name. Enjoy! 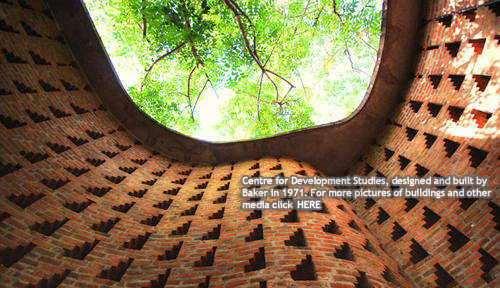 Trailer for "Uncommon Sense: The Life and Architecture of Laurie Baker" released! The first trailer for "Uncommon Sense: The Life and Architecture of Laurie Baker" has been released! Thank you for you patience. Please enjoy in 720p or 1080p HD and be sure your speakers/headphones are on for the best effect. Filming of the Laurie Baker Film has completed! Over 100 hours of footage of over 50 buildings and interviews with over 30 architects, clients, urban planners, family, friends and unprecedented access to archival footage, photos and Baker's writings, sketches and plans. Here are some updated stills from the film. Look out for more previews and the trailer soon here or at the official FB page! Research work is underway for the official biographical documentary and companion book. The goal is to go beyond the superficiality of architectural elements & construction techniques and explore the story of the man behind the architect- understand why he built the way he did, what social goals he sought to achieve through his construction, the relevance of his ideas today, an exploration of his persona through anecdotes recounted by close friends, clients, architects influenced by his work, and never before seen footage of Baker himself and his family. The book will contain an updated catalog of Baker's buildings along with several exclusive photos, sketches, plans and writing from Baker's personal archives. We are currently on the lookout for more technicians (video, sound, editing, etc) for the documentary. If you are interested or know someone who is interested to join in the process of making what promises to be the first definitive full length documentary of Laurie Baker please use the contact form to get in touch with the subject "Documentary". If you would like to submit any photos of Baker buildings to be included in the book or documentary please use the subject "Photo submission". Documentary added: A 1987 documentary by R Nanda Kumar - the video quality is poor and the audio is out of sync but the real value is to be able to see Baker give such simple yet powerful answers and demonstrate and explain the reasons why he use various construction techniques. It also gives a glimpse into his intense love and admiration for India's vernacular architecture and traditional craftsmanship techniques. Everything Baker does is driving by one all consuming passion - to provide a home for every Indian. 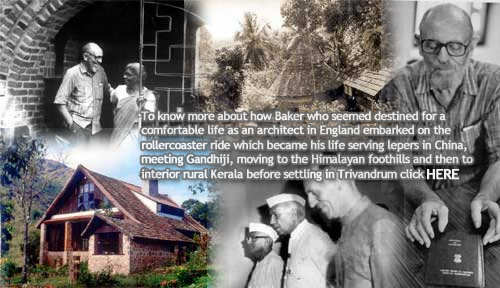 This is the official website of Laurence Wilfred Baker (Laurie Baker), renowned British-born Indian architect and humanitarian. The site provides information about his life, his beliefs, his work and his architectural principles of cost-effectiveness, use of locally available materials, respect for nature, avoidance of energy-intensive materials and wastage minimization to create low-cost, beautiful, high quality buildings which long pre-empted modern concepts such as eco-friendliness and sustainable architecture. 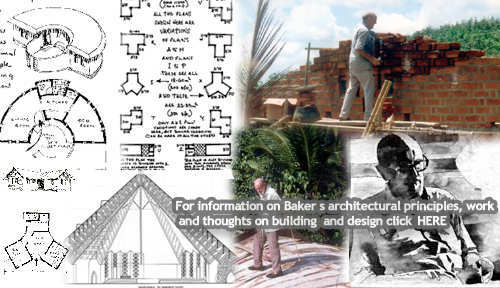 Baker's body of work is significant both in terms of the volume and sheer diversity as well as in terms of the innovative and practical concepts he introduced. He has designed and built a dance village, computer institutes, fishermens huts, chapels and churches, factories, schools, film studios, orphanages, tourist resorts, residences, technical institutes, earthquake and tsunami resistant houses, leprosy homes, a Literacy Village, hostels, slum dwellings improvement, an ornithology centre, government buildings, a blind childrens international school and a museum. In Kerala alone, he has built over 2000 buildings. He has also done pioneering work into earthquake and tsunami proof housing. 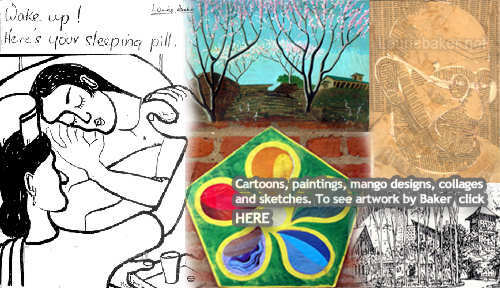 Laurie Baker was also an accomplished cartoonist, artist and innovative designer. He has been at various times of his life an anesthetist, a nurse, a missionary and an architect. He served in the Second World War in the Friends Ambulance Unit and lived for four years in isolation in remote China taking care of lepers. After a meeting with Gandhiji he was convinced to come to India, initially as the chief architect of the Mission to Lepers building leper homes throughout India. He has since lived in Pithoragarh in the foothills of the Himalayas building hospitals and schools and in the tribal areas of Vagamon in Kerala before finally settling down in the city of Trivandrum. This website is dedicated to the life and work of this truly multi-faceted yet unassuming man.